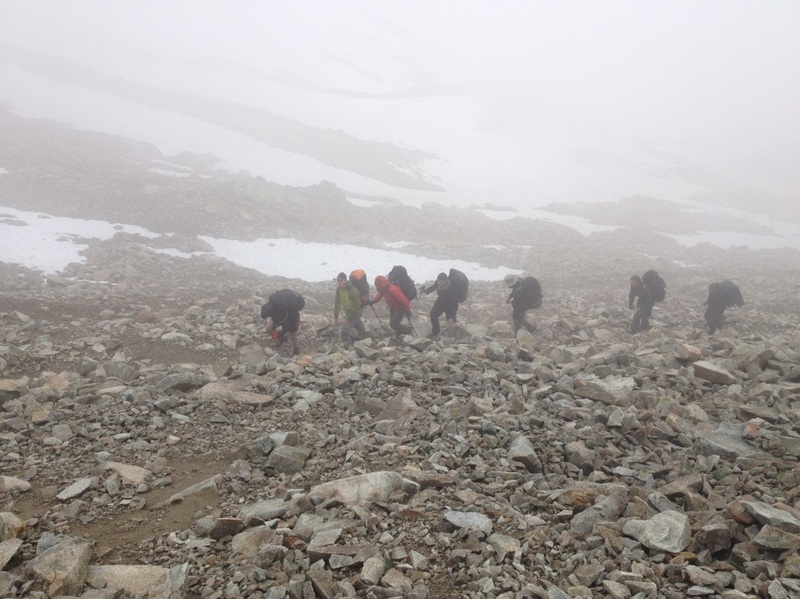 This expedition was held between the 21st and 31st of July. 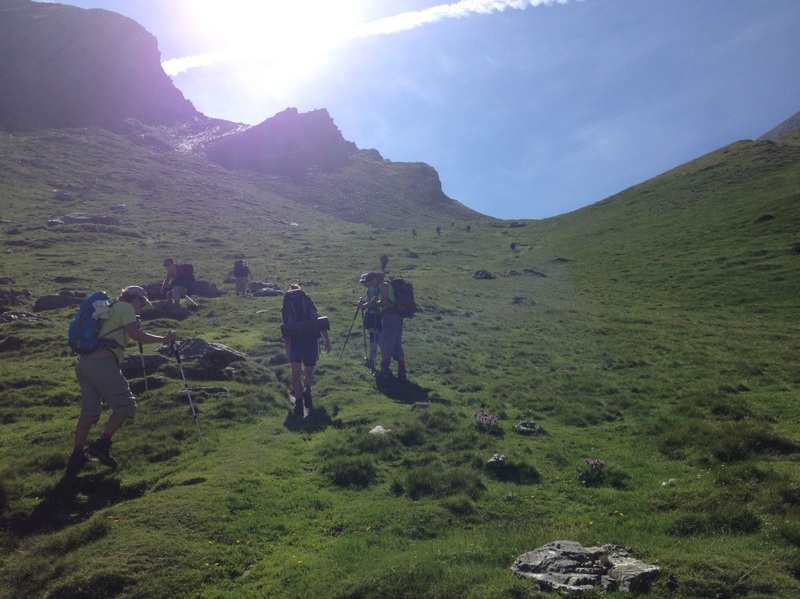 It was a Summer Alpine Mountaineering Expedition, which its main aim was to complete a section of the GR10, a well renowned French hiking route. 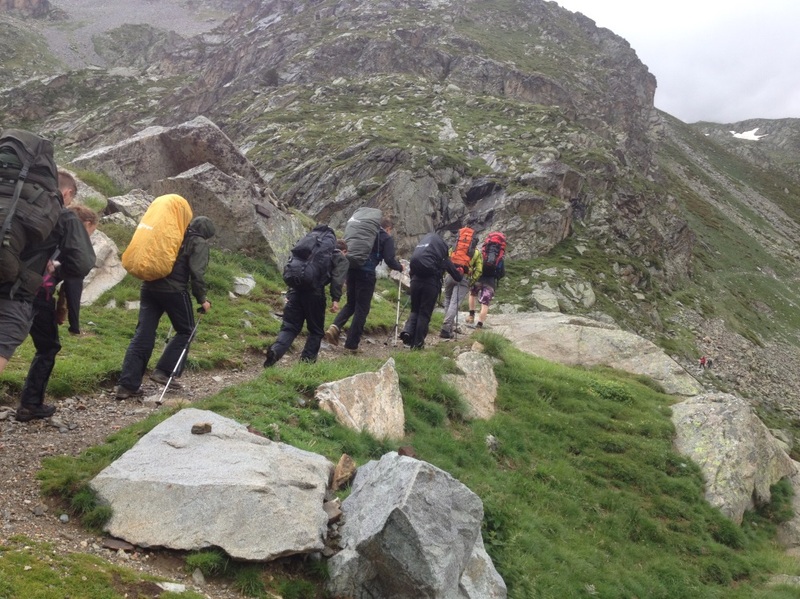 The GR10 follows the Pyrenean mountain range, which is situated between the French and Spanish border. This route is considered one of the hardest European GR walking routes, which consists of numerous height gains and losses each day. The team, led by 2Lt Arnold, touched down in Toulouse Blagnac at 1645 on the 21st July. However, before we could set off there was a lengthy six hour coach journey to the start point, Lescun. Once we arrived at Lescun, we set up camp prepared to step off the following morning. At the crack of dawn, everyone was eager to set off, and so the walking began with high morale, despite the summer heat. In order to acclimatise ourselves to this heat, we started the expedition off lightly, the first day only consisting of a six hour walk from Lescun to Borce. Day two began with more urgency, as the team members started to become accustomed to the conditions. With our first real climb of 1588m and a decent of just under 1000m this day proved more difficult. This eight hour thirty minute walk showed just how important team cohesion, and commitment from everyone involved was. The long walk proved tough, but camping at the Lac de Bious-Artigues showed rewarding views. As the days progressed, we moved onto our longest day, with a total of 27km walked in just under eleven hours. This was by far the most challenging day we faced, not only physically challenging, but mentally also. With 1481m height climbed and a total of 1552m descended, we finally made camp in Gourette at the end of day four. With many glacial patches and poor visibility on the way down, the team had to work hard in these difficult conditions, but were rewarded by a gourmet meal at the end of the day in order to celebrate reaching our half way point. Whilst in Gourette, torrential weather conditions and lightning strikes forced the team leader to implement a rest and recuperation day in the middle of the expedition. 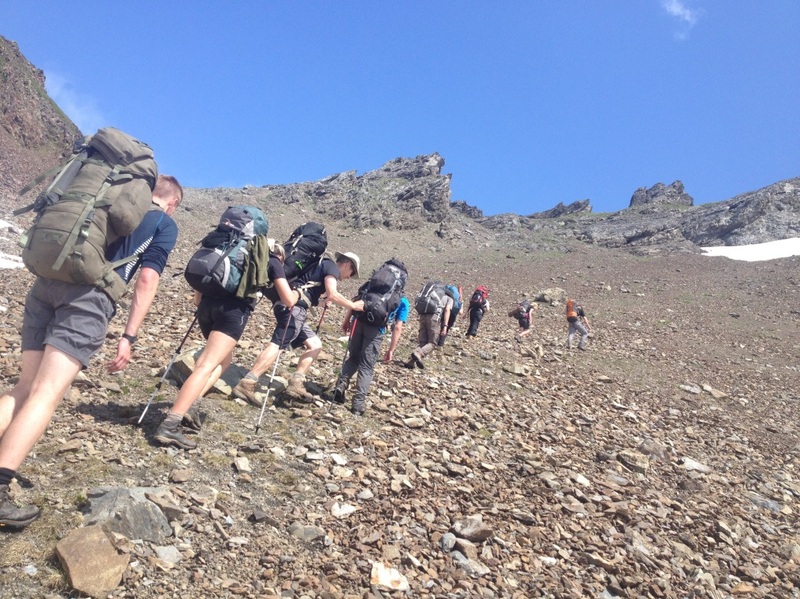 This enabled essential teaching time given to those who had not already achieved their SMF (summer mountain foundation qualification), as well as give the group time to stretch off from the challenging walk the day before. Once the weather cleared up, the next couple of days posed a great challenge, due to the significant increase in temperature, and the vast open landscape the group was exposed to. To this extent, prior planning of food and water replenishments and shaded stoppage spots was essential. Along the way, each team member was given the chance to navigate and lead, whilst being assessed on their capability. The day before we reached the end point of Gavarnie, we wild camped at 2151m, at the base of a huge glacier. This was a great experience for the group, camping at such altitude, allowed them to see the change in weather conditions and the difficulty faced when camping at such heights. The group woke up the following morning, refreshed and ready to climb to our highest point of the expedition, expecting to see some breathe taking views. However, this day unlike the rest, was cold, windy and foggy. This meant visibility was poor, and challenged us from the start of the day. At 2734m, the visibility was totally obscured and strong winds deterred us from going any higher. Now it was all downhill from this point until we reached Gavarnie. Everyone boarded the plane together, after an uncomfortable night in Toulouse airport, ready to go home after this ten day expedition. The seven days walking proved a significant challenge for all team members, but good team fitness and determination carried us all safely through to the end point. Team work and cohesion only grew as the week progressed, and essential skills such as navigating, planning and remaining flexible were among the many skills the team learnt throughout this experience. 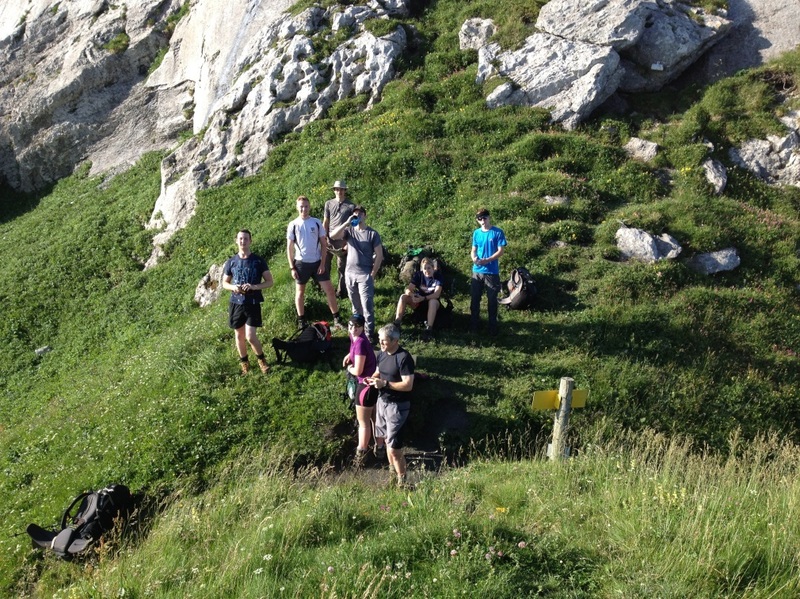 This Expedition benefited all those that attended, whether it was those who achieved their SMF qualification or those that simply added more quality mountain days to their log books in order to further progress. Over all it was a well organised and well executed expedition, which we all thoroughly enjoyed. A steep ascent along the more popular part of the trail. A well-deserved break on the sixth day at Col de Tortes (1799m) on route to Arrens. The steep final assent to 2465m on the Fourth day. The beginning of the last day – waterproofs on! The final ascent to 2734m as foggy conditions closed in on the last day.